ASTANA – The Kazakh capital hosted Sept. 5 the Regional Conference on Women’s Empowerment in Afghanistan. It was held six months after Kazakhstan announced the event during a March 8 United Nations Security Council (UNSC) meeting on Afghanistan. Among the female activists, politicians and government representatives were 2011 Nobel Peace Prize winner Tawakkol Karman, Deputy Prime Minister of Uzbekistan Tanzila Narbaeva, Vice Prime Minister of Kyrgyzstan Altynay Omurbekova, Minister for Women of Afghanistan Delbar Nazari and Special Representative of the UN Secretary General for Central Asia and head of the Regional Centre for Preventive Diplomacy in Central Asia Natalia Gherman. “Kazakhstan is committed to the speedy establishment of peace in Afghanistan and applauds the steps taken by the Afghan government to improve the status of women, promote gender equality and achieve peace,” read Kazakh President Nursultan Nazarbayev’s congratulatory letter delivered at the conference by State Secretary Gulshara Abdykalikova. While Kazakhstan is assured the Afghan people and their leadership will manage to achieve lasting stability in the country, the Kazakh capital can offer a platform to discuss solutions and ideas and unite efforts. “Since its independence, Kazakhstan has been consistently working to achieve the highest world standards in gender policy issues and to strengthen the role of women in the socio-political life of the country. Kazakhstan has ratified all the fundamental international documents in the field of gender equality, with their guidelines being incorporated into our strategic and policy documents,” the letter noted. Abdykalikova suggested while it is necessary to strengthen economic ties between Afghanistan and Central Asia, women could also be supported through a comprehensive entrepreneurship programme and by involving international businesses in female-oriented economic projects in the country.“The security threats and other issues Afghanistan is facing require sustained support from the countries of the region and the international community, with the leading role of the United Nations. And it is our priority to promote the interests of the fraternal Afghan people,” Kazakh Foreign Minister Kairat Abdrakhmanov said in his opening remarks at the event. Part of the global movement for gender equality, the conference agenda highlighted the importance of women empowerment in creating sustainable and resilient societies, demonstrating that the issue spills far beyond the social problems affecting economic development, security and stability in any given country. “Women empowerment is not only a matter of human rights and social justice. It’s about development, human growth and fulfilling the country’s potential. The European Union will continue to be the strongest supporter of women,” said EU High Representative for Foreign Affairs and Security Policy Federica Mogherini in her video message to conference participants. As access to a modern education system must be universal and provided equally without any gender discrimination, Mogherini announced a new €2 million (US$2.3 million) programme that will train and educate Afghan women in Central Asia. This programme, to be executed jointly by the EU, Kazakhstan, Uzbekistan and Afghanistan will contribute to “empowering them economically and making them more independent,” noted a tweet from the EU delegation to Kazakhstan. “The new action will benefit not only Afghanistan’s revival as a prosperous country, but will have a positive impact on the well-being of the entire region of Central Asia,” said EU Charge d’Affaires in Kazakhstan Zoltan Szalai in his remarks. The new programme will come as a follow up to the $50-million education programme financed by Kazakhstan that seeks to train 1,000 Afghans in its universities. 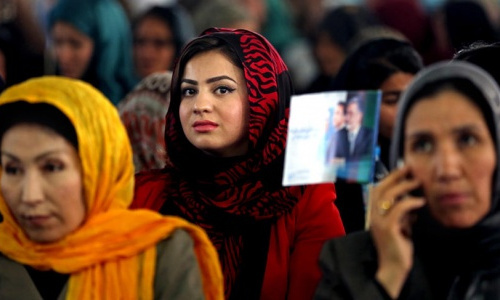 The differences of the new one, though, will be in that it will focus exclusively on Afghan women and that it will be multilateral. Supporting Afghanistan’s development, thus enhancing regional peace and stability, is part of Kazakhstan’s agenda as a non-permanent member of the UNSC. Kazakhstan is actively working on both bilateral and international levels to support Afghan reconstruction, said Abdrakhmanov. Since launching the $50 million programme for training and educating Afghan youth, 1,000 students have studied in Kazakh universities, with more than half graduating and returning to help their home country develop. 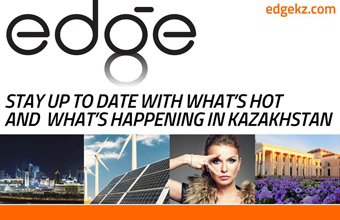 The Kazakh government announced it is ready to cooperate in transit and logistics for commercial cargo, energy, mining and road and railway construction, the foreign minister added. “In the matter of empowering women and strengthening stability in Afghanistan, Kazakhstan attaches great importance to the work of all stakeholders with UN agencies and hopes the participants will support the projects of the Astana forum,” said Abdrakhmanov. The document announced the next regional conference will take place in Afghanistan in 2019.